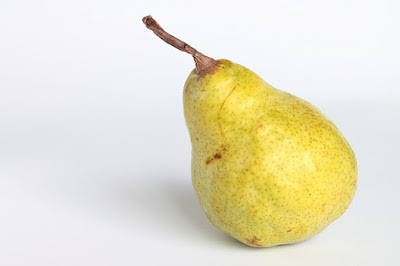 Pear has very high water content and can help lose weight program. Pears are rich in nutrients such as magnesium, vitamin C, vitamin K, vitamin B complex, vitamin B9 or folate, copper, fiber, manganese, potassium as well as various other ingredients. Here are some benefits of pear that can support your weight loss program. Pear has a very high fiber content, about 20% of the recommended amount of fiber each day (depend on your Recommended Dietary Allowances). Fiber is not only beneficial to make the stomach feel full longer, but also can be a healthy snack between your meals so as to reduce other high calorie snack. Fiber in pears is also able to increase the absorption of important minerals and vitamins in the food you consume so that the digestive system will also be better. The content of fructose and glucose in pears is useful as a natural source of energy, pear also has a low glycemic index. A low glycemic index can help slow down carbohydrate absorption in the bloodstream so there is no extreem spike or drop in blood sugar levels. With this, then the desire to eat will be more controlled so that this fruit is also well consumed by diabetics. Pears are also very well consumed to reduce inflammation. FYI, the process of losing weight is usually slightly hindered at least to do light exercise because of the pain of arthritis and muscle. Pears are consumed as juice contains anti-inflammatory that helps patients with muscle and joint inflammation by reducing the pain, so that they can always be active to improve the process of weight loss. Consuming pear routinely proven to launch the digestive system and remove toxins in the body which is certainly very helpful for diet program. In addition, because of the high fiber content, pears will also improve the function of the large intestine, lower sugar levels and also maintain the balance of cholesterol. Pear contains phenolic phytonutrients that are useful for improving the body's metabolism to improve metabolic disorders that are one cause of weight continues to grow. Pears are also rich in antioxidants that are useful to counteract the effects of free radicals in the body derived from residual metabolism. Free radicals are substances responsible for converting healthy cells in the body into cancer cells and of course also affects the difficulty of losing weight because so many unused substances stored in the body. Vitamin A, vitamin C and flavonoid compounds such as lutein, beta carotene and zeaxanthin in this fruit will help in cleaning the poison so that your diet program can run more leverage. Pear is delicious, cheap and healthy option that can be consumed every day. To get optimum efficacy of this fruit, consume this fruit with its skin (after you wash it).